Flight flying over the residential areas in Kowloon City. 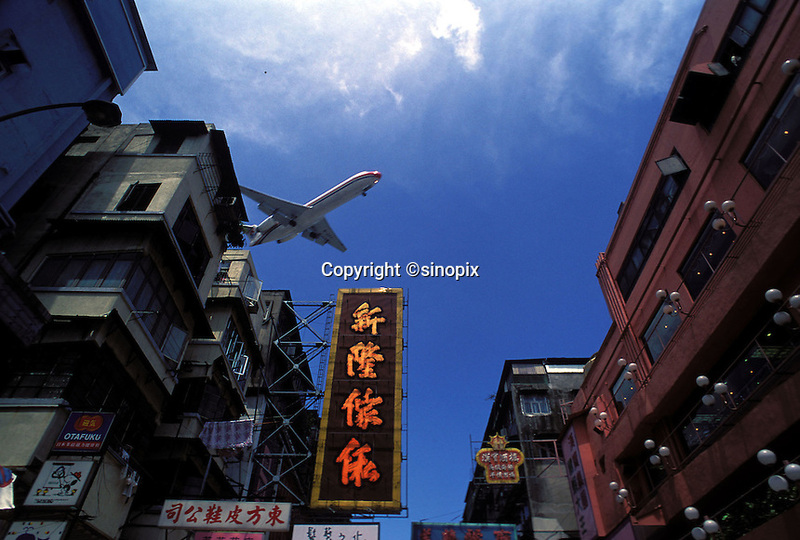 Kai Tak Internatonal airport was located in Kowloon City, Hong Kong. It was closed in 1997 and has been replaced by the Hong Kong International Airport in Chek Lap Kok, Lautau Island. Hong Kong, China.